across. Jean and Tony who live at 43 Courtenay Road opened up their home to host a huge fund raising event for St Raphael's Hospice. When I say 'huge' I mean they had more in their garden than the whole Central Road Craft Market had provided the day before. 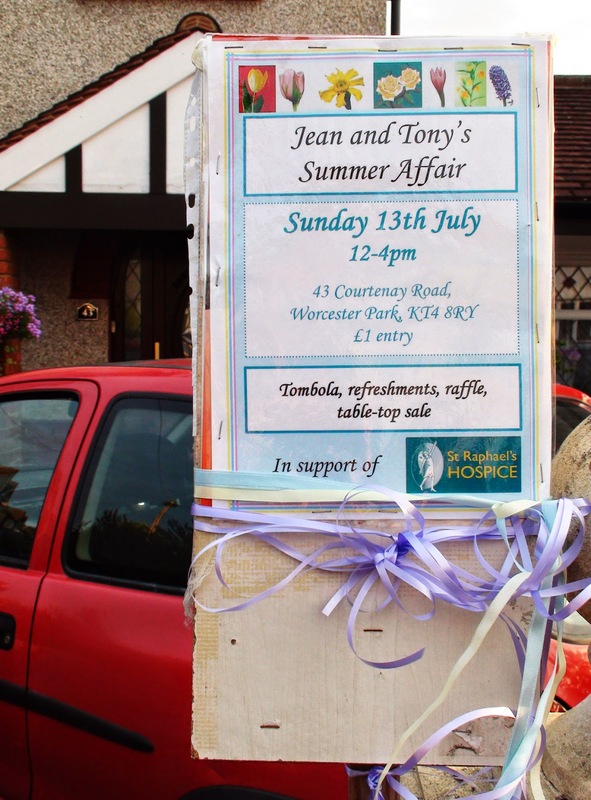 The Summer affair is a annual event and Jean and Tony are once again donating their time, effort, money and skills to bring neighbourlyness to their local area while raising money once again for St Raphael's. In fact they hold two events each year. A summer one and a Christmas one which for reasons easily deduced is normally held inside. Between them, their family and friends they normally managed to create and offer enough to raise over £900 each time and hit the £1000 mark last Christmas. Entry costs only £1 - I would say it is more than worth it - and everyone is welcome. This year's Summer affair is this coming Sunday (13th July) - yes that's the same day as the World Cup Final. However this is from 12 - 4pm so it will give you plenty of time to get home to enjoy the televised final kicking of the football.